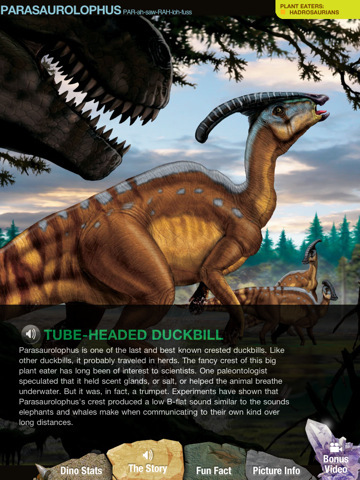 National Geographic have recently released an amazing new iPad ebook entitled the Ultimate Dinopedia. The app touts itself as “The Most Complete Dinosaur Reference Ever” – and while I may bring that claim into question, Ultimate Dinopedia is undoubtedly the most comprehensive app of its kind available. 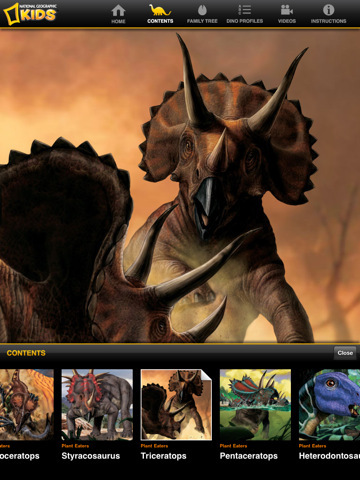 The Ultimate Dinopedia for iPad features many of the most important dinosaurs in-depth, with beautiful high-resolution illustrations that truly bring them to life. 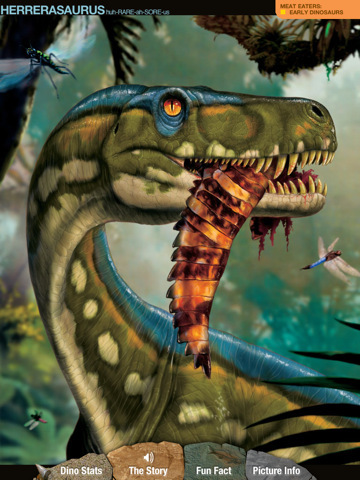 The book is split into the meat eaters and plant eaters, with the most prominent and well-described species given their own page in the book, with dino stats, a brief description (with optional audio narration), a fun fact and information about the illustration. 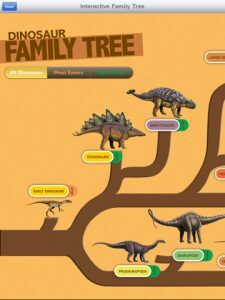 You can swipe through the app just as you would the pages of a book, or tap on the screen to access the menu which gives you one-touch navigation to the Table of Contents, Dinosaur Family Tree, Dinosaur profiles and videos. 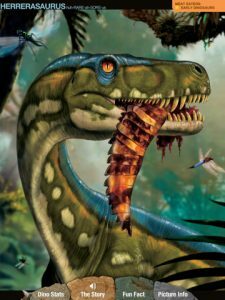 Many more dinosaurs are listed in the Dinosaur Profiles section than are given full treatment in the book – over 700 in total – each with a small picture and quick stats, including size, geographical location, period and the type of fossils found for that species. 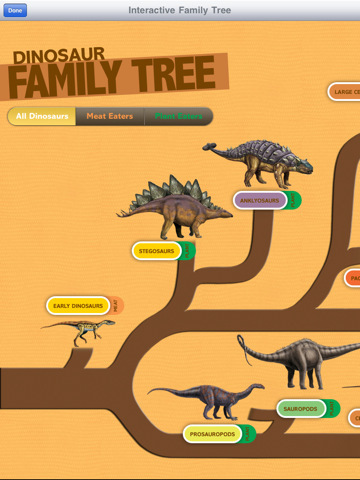 The Ultimate Dinopedia is rounded out by interesting sections on basic Dinosaur anatomy, habitats, fossil formation, extinction and more. An outstanding resource for both children and adults, National Geographic’s Ultimate Dinopedia is a great educational book for just $5.99.